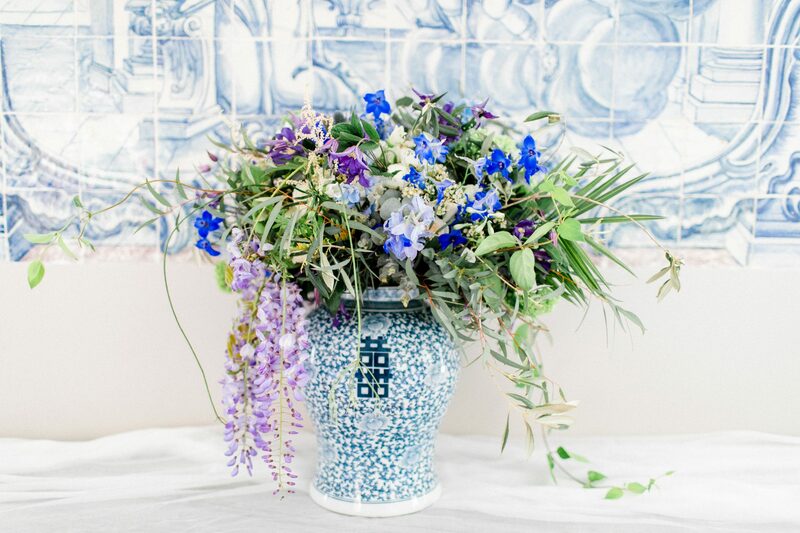 What makes a wedding in Portugal so special? Portugal – endless beaches at the Algarve, impressive buildings in Lisbon, sunshine year-round, a culture that’s influenced by sea travel and discovery, with it artistically decorated tiles as far as the eye can see. The paradise-like country on the Iberian holds thousands of fascinating details and it has very own charm. So it’s not surprising many couples are getting married in Portugal. 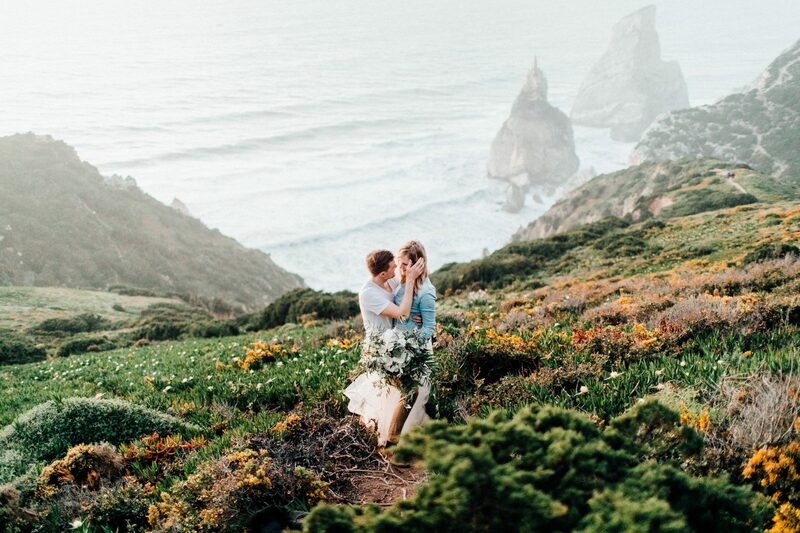 Are you one of the many Portugal lovers and thinking about having your wedding in Portugal? How wonderful! 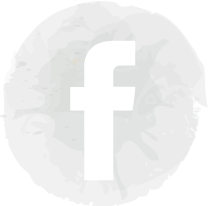 The following post has 5 valuable tips and the best wedding venues in Portugal for you. Enjoy this post and get inspired! When is the best time to get married in Portugal? In Portugal theres is moderate maritime climate which means it doesn’t get particularly cold or moody in the winter. The chance of having a sunny day in Lisbon even in February, while at home it’s grey and unwelcoming outside, is very high. The best time for travel is from April through October. The warmest month is August with an average of 30 degrees celsius. Nevertheless there will be a cool breeze coming in from the nearby Atlantic, you are better off scheduling your destination wedding outside of the holiday season. This way you avoid the general tourist turmoil and are not having to fear those absolute maximum temperatures taking a toll on your wedding. The wedding season in Portugal is from April to November. How many guests should I include and what about the budget? 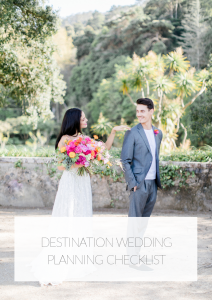 It’s always a good to first get an idea of how your potential guests feel about a destination wedding in Portugal and not present them with a fait accompli. 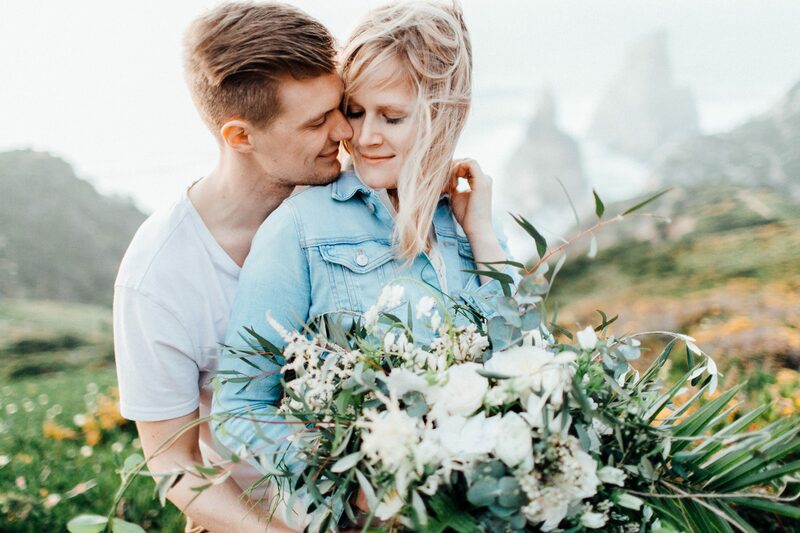 After you get a feel for who would make the trip to be part of your wedding, and would be willing to face the costs, you can start planning with this number of guests. In general we advise to limit the number of guests you invite to Portugal and include only your closest family members and friends. With those people you can be sure that they will make anything possible to be part of your big day. Of course nobody wants to miss their best friend’s or child’s wedding. And if you plan far enough in advance, you will still be able to get a hold of those really affordable flights to Lisbon or Porto or the Algarve with the low cost carriers. You don’t want your colleagues and extended family to miss out completely? 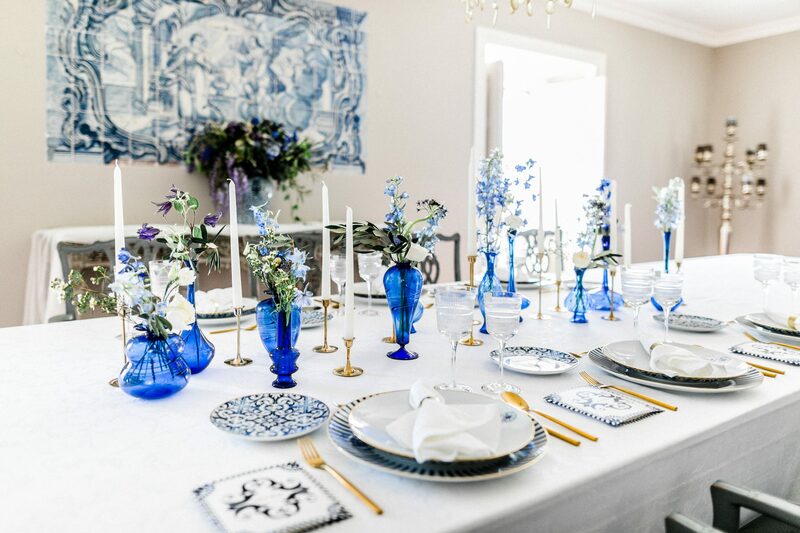 A nice way to also include them is to host a relaxed wedding brunch after you come back from Portugal. What you need now is the budget for your destination wedding in Portugal. A lot of people immediately think that a wedding abroad is extremely expensive. If you plan skillfully and concentrate on the aspects most important to yourself, then prices do not actually differ that much. But of course, the final costs depend on many different factors, like with any other wedding. The number of guests plays an important role in that, but like we already mentioned, in a destination wedding party there will most likely be less guests. Furthermore the registry office fee is quite low in Portugal. Also prices for catering are very reasonable. So don’t worry: Your Portuguese paradise wedding doesn’t depend on a bulging treasure chamber. All documents must be handed in original and translated. Furthermore they have to have the apostile stamp on it. This stamp refers the legalization and validity of your documents for international use. (1961 Hague Convention Abolishing the Requirement of Legalization for Foreign Public Documents). The apostille stamp is necessary for birth certificates, certificates of no impediment to marry and free to marry affidavits. 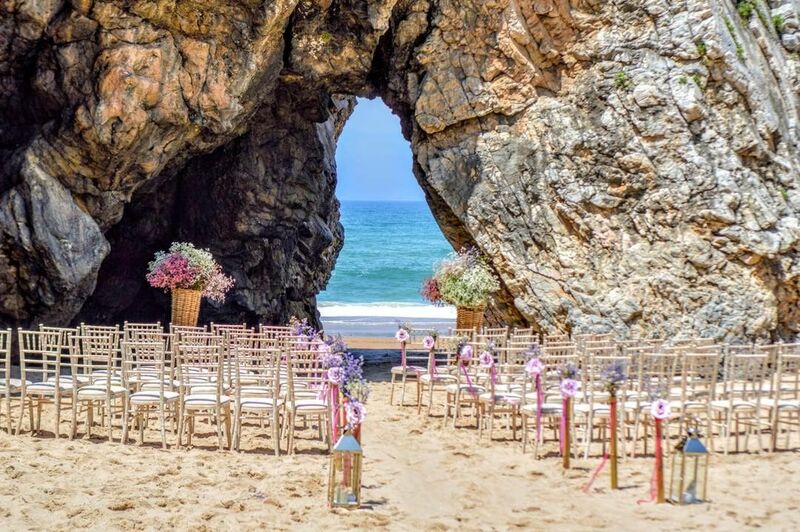 TIP: By the way, Portugal is the only European country where you can get married right on the beach since the registrar can also preform at favored places. Also it’s not required to have witnesses present during your ceremony. 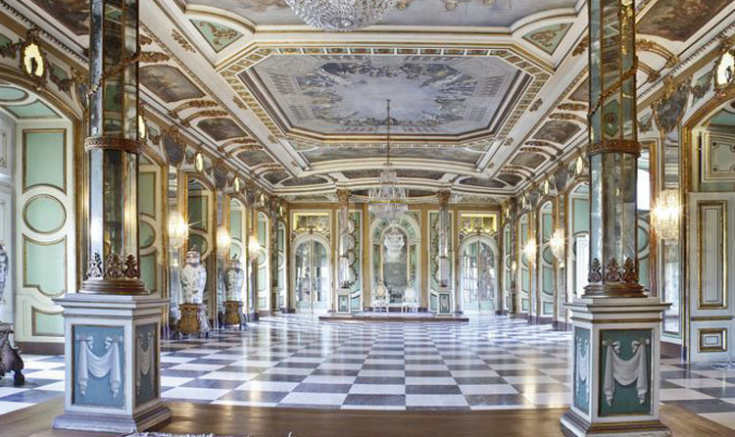 In Portugal you really have the embarras de choix when it comes to choosing the wedding venue. For that reason we have focussed mainly on the Lisbon area. There you can find a vast variety of hip hotels, breathtaking, historic buildings, picturesque quintas in the countryside, venues right at the beach and many other locations to choose from. We have assembled a small overview on possible venues for getting married in Portugal. This beautiful estate is located in Lisbon, which is perfect for a destination wedding, since you don’t have to travel really far away from the airport. 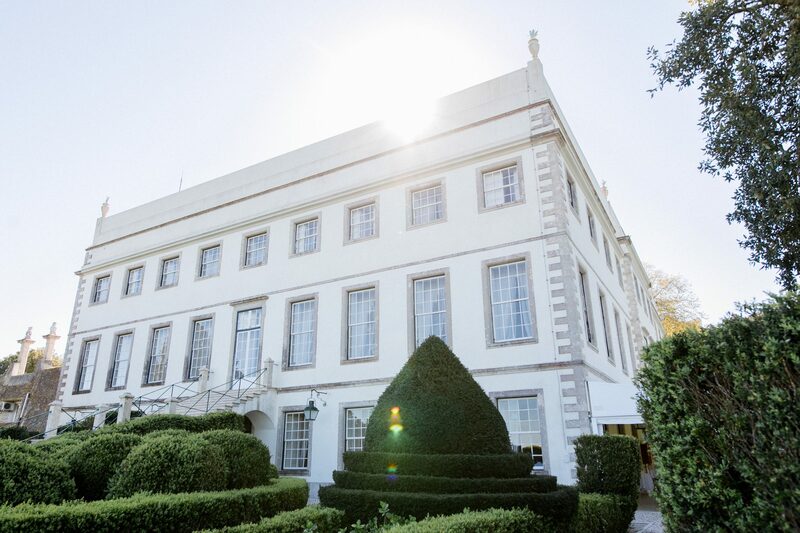 This hotel comes with several gardens and a stunning view at the city and the Tejo River. 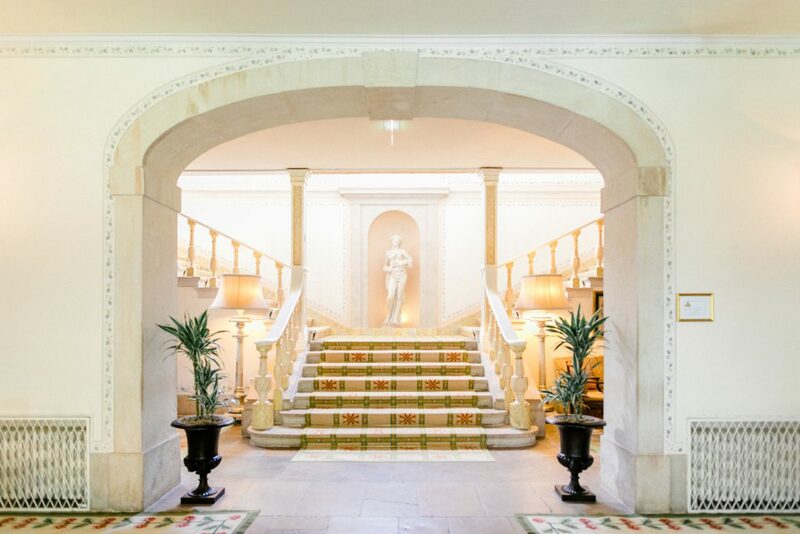 A noble hotel like this is perfect for events like weddings, due to the amount of rentable rooms and halls. Accommodation is given. 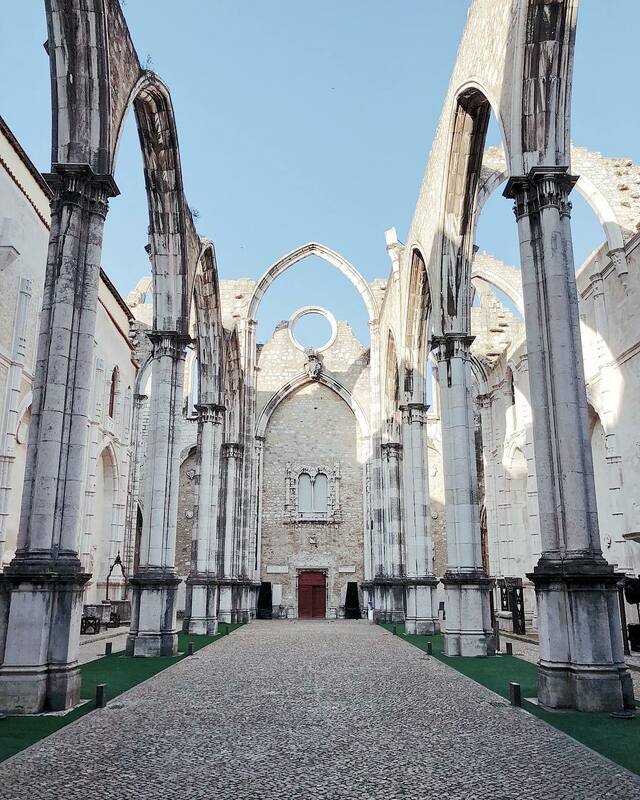 A former cloister in Lisbon can now be used for wedding ceremonies or receptions. 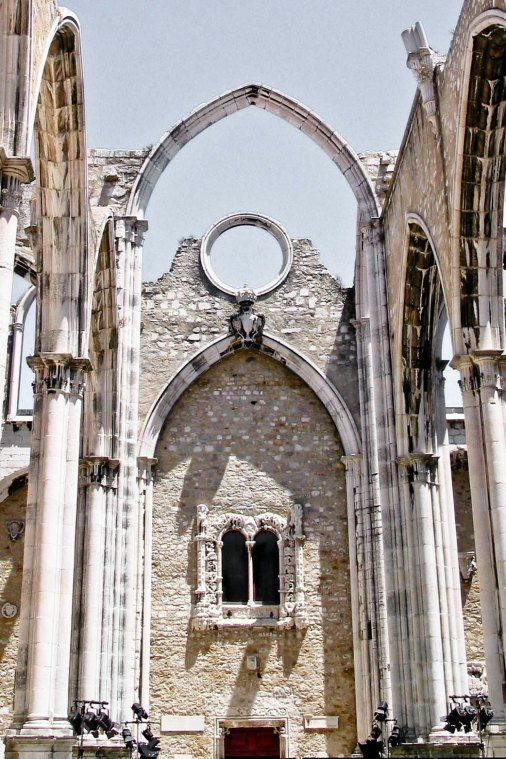 Convento do Carmo was built in the late mediaeval times and the impressive ruins of this gothic style building make a magical atmosphere. 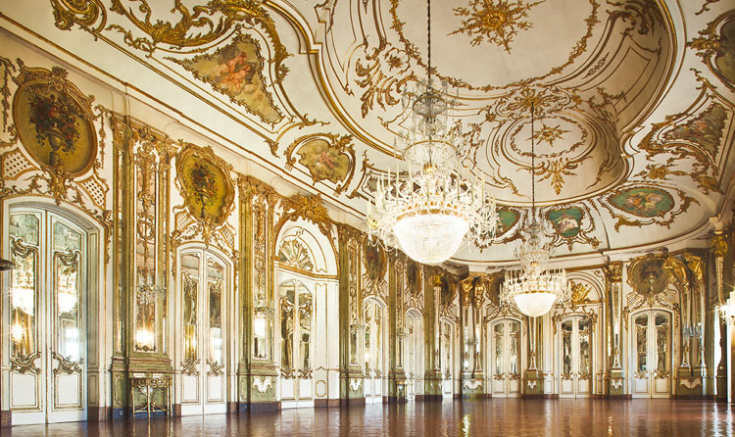 Palacio de Queluz is a national palace, which was used for two royal generations. 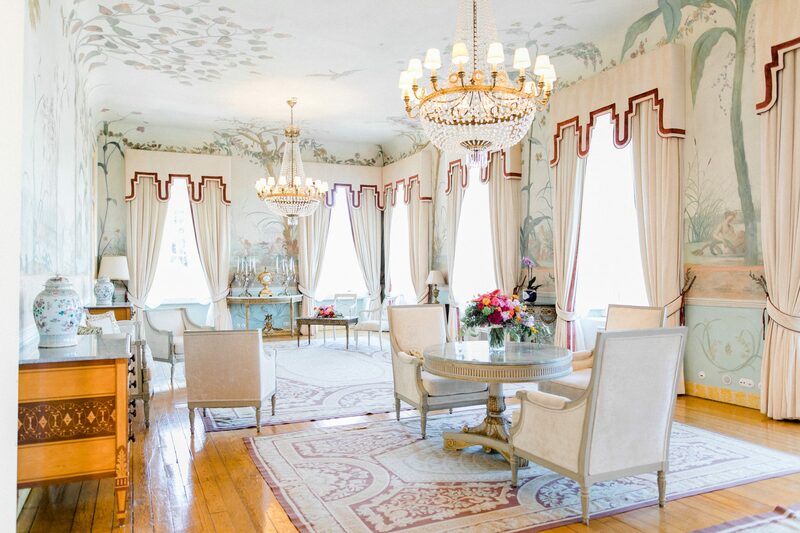 It is only 15 minutes from Lisbon away so you and your guests don’t have to travle long to get to this royal estate. Since it is a hotel, you and your guests will find accommodation for the night. 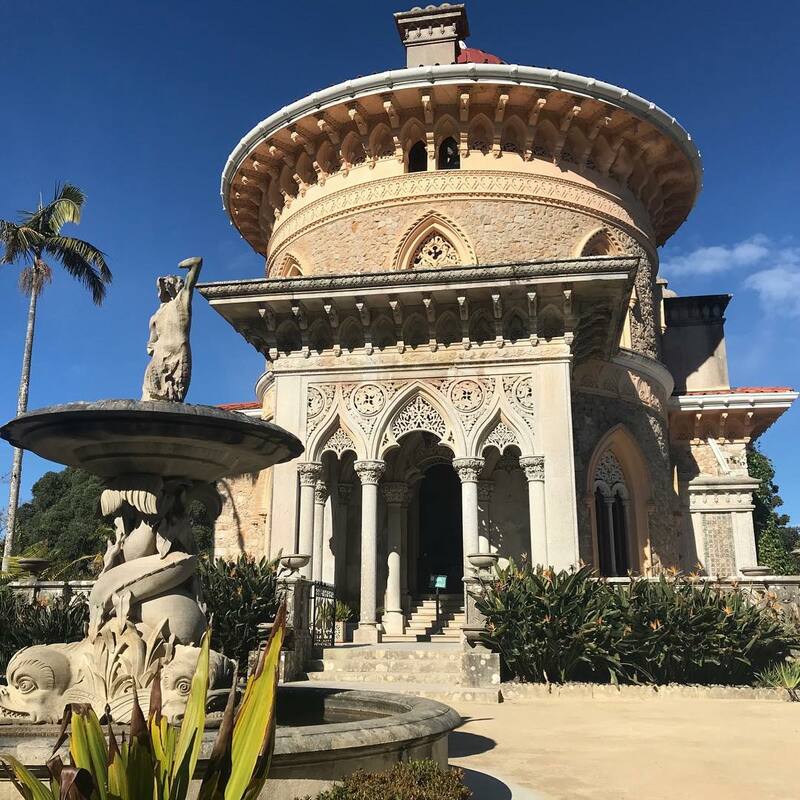 The arabic and gothic influenced palace Palacio de Monserrate in Sintra is a very quaint and romantic wedding venue, the main reason for that is the breathtaking architecture. 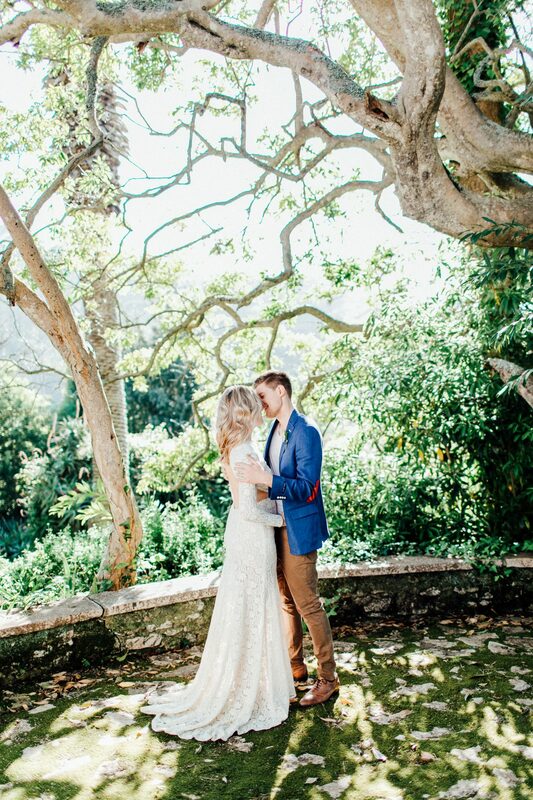 Severyl lovely gardens and an old chapel ruin create an idyllic screnery which is perfect for wedding photos. Adraga Beach is, as you can assume by it’s name, a perfect venue for a beach wedding. 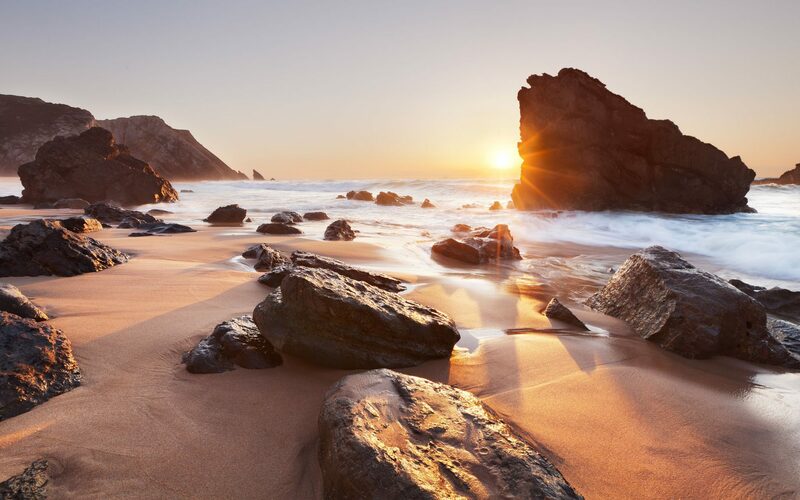 This beach in particual is one of the most beautiful beaches in Portugal. 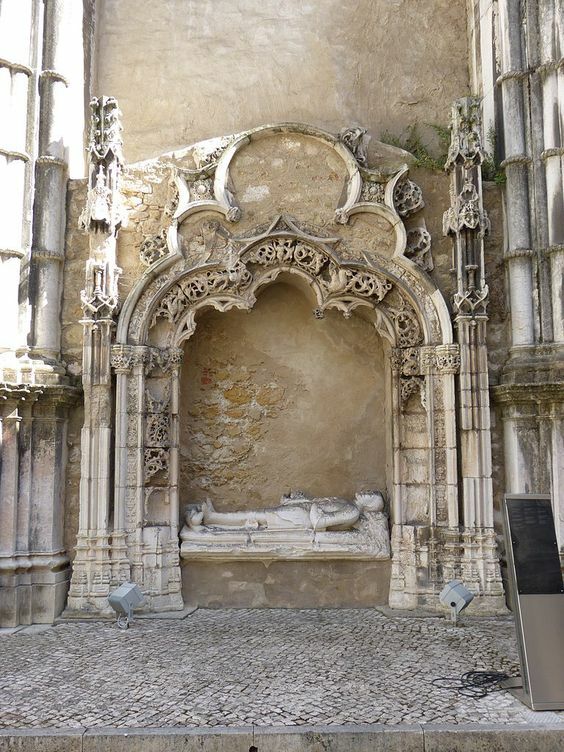 It is located near Sintra. Between the stone cliffs and the soft sand, with the sound of the ocean in your ears, you just can’t help yourself say YES. 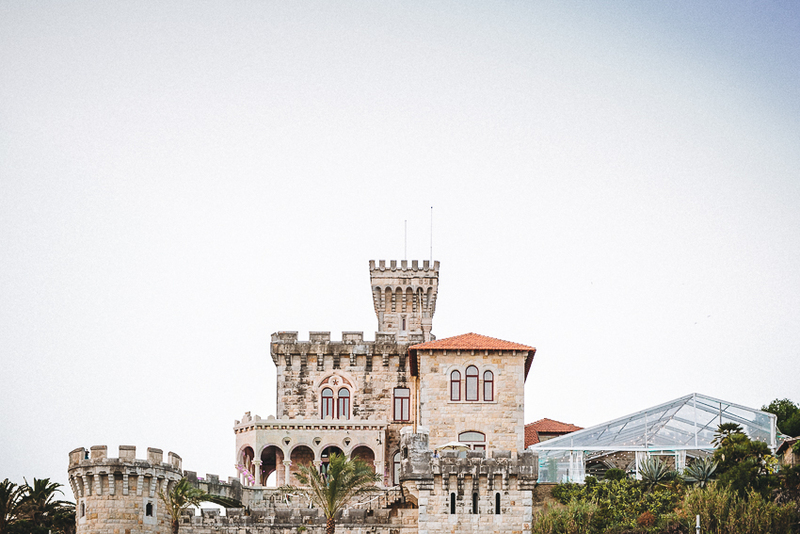 Forte da Cruz is just 30 minutes away from Lisbon and a lot of wedding couple already discovered the beautiful castle as for their wedding venue. The ceremonies can be enjoyed with a beautiful view over the ocean. 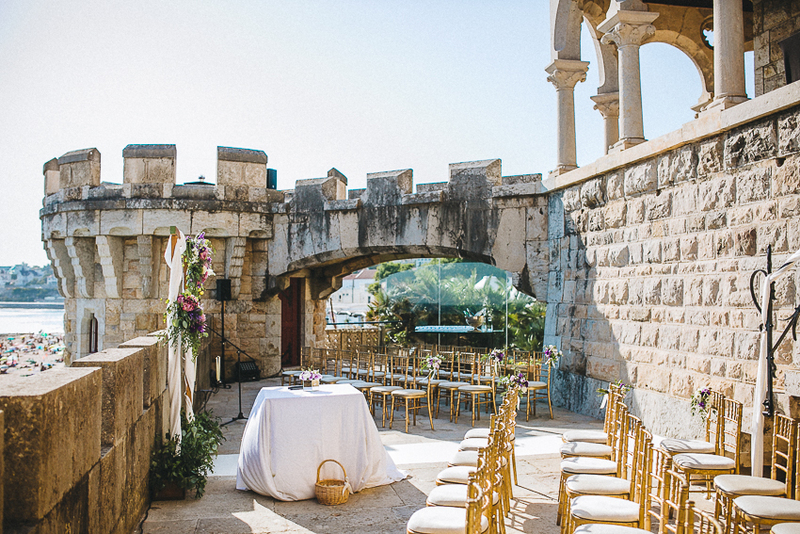 This 17th century castle is a unique venue, which you and your guests will ever remember. 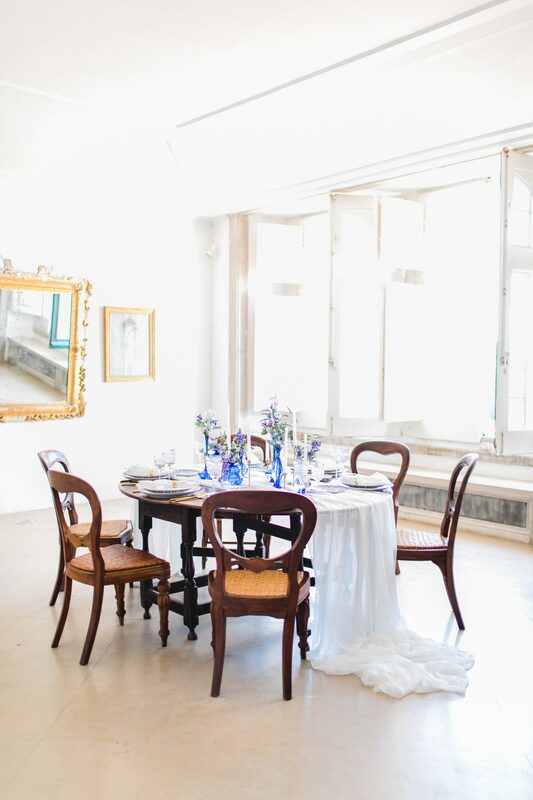 This magical and romantic wedding venue can be found in the middle of Lisbon and Porto. With 2,5 hours to Lisbon and 1,5 hours to Porto, the venue might be a little bit more difficul to access. But you’ll get rewarded with a stunning estate in gothic style architecture and magnificen woods, who surround the gardens. Accommodations can be booked. 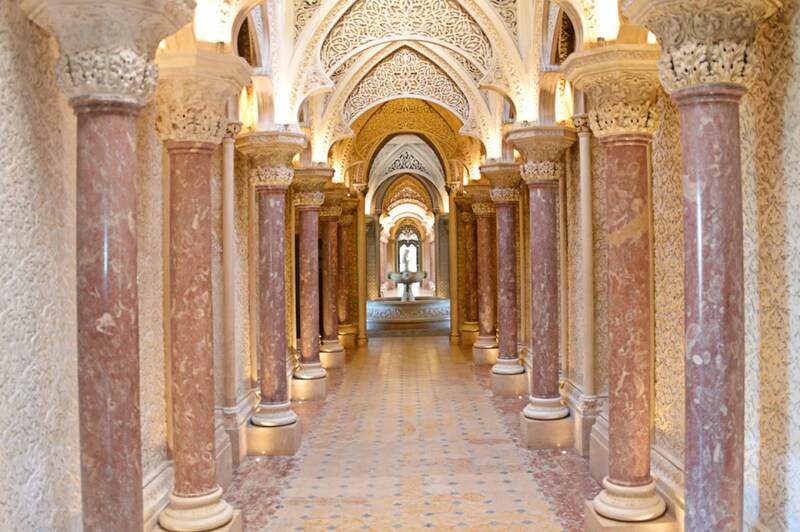 Tivoli Palacio de Seteais was built in the 18th century and it could be the scenery of a film of a fairytale. 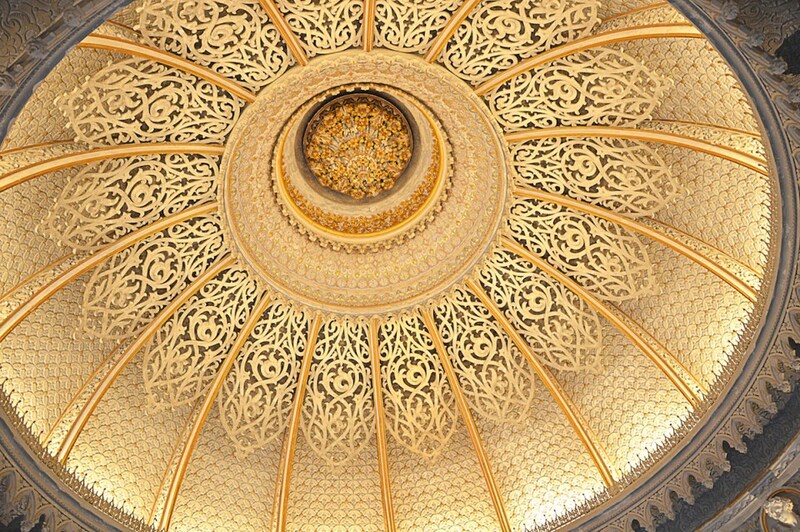 You are able to rent this huge palace for you and your guests yor a whole day. The wedding couple finds accommodation for free. The outside area of this estate is likewise luxury and noble as the inside. The palace is about 45 minutes away from Lisbon. Quinta de Tadeu is a lovely and private farmhouse where you and your loved ones can spend a good time. The farmhouse has a lot of nature around it and you love the quite and comfortable ambience. It is by Sintra and 40 minutes away from Lisbon. The quaint farmhouse Quinta de Sao Thiago has a swimming pool and a beautiful library. Things like these and the untouched nature, where the farmhouse was built, invite you to relax. 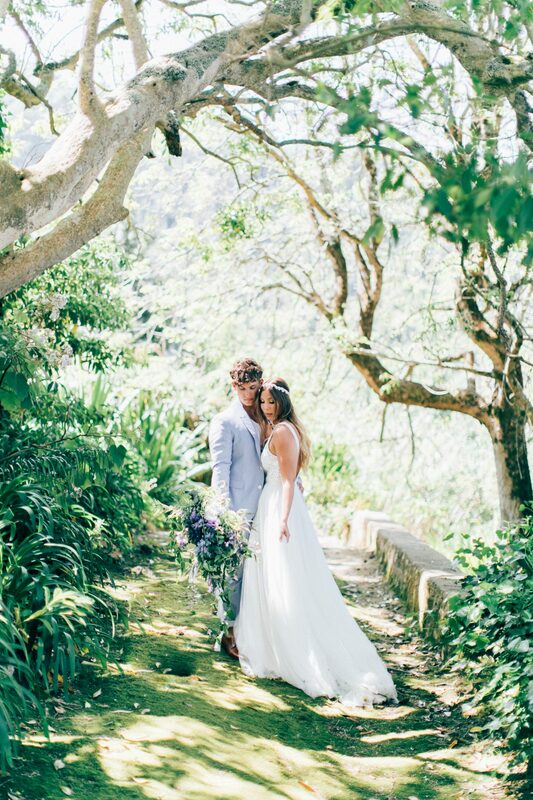 Located in the hills of Sintra, this wedding venue is 20 minutes away from Sintra and 50 minutes away from Lisbon. How can I find the best service for my wedding? Portugal may be a relatively small country, but the density of vendors is quite high, especially in the metropolis Lisbon. That doesn’t make it much easier to find the photographer, make-up artist, florist etc. that fits with you and your personal style. In addition to that there is the language barrier. 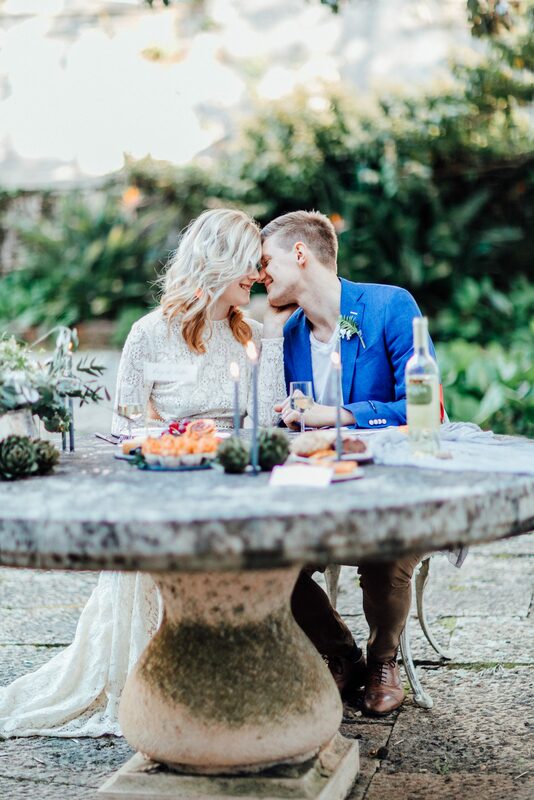 You are dreaming about a wedding in Portugal and would like to have some professional help with it? Then don’t be shy and make a noncommittal appointment with us. With pleasure we will plan your wedding in Portugal and accompany you during the whole event. Helping you find the right vendors and making your dream come true. 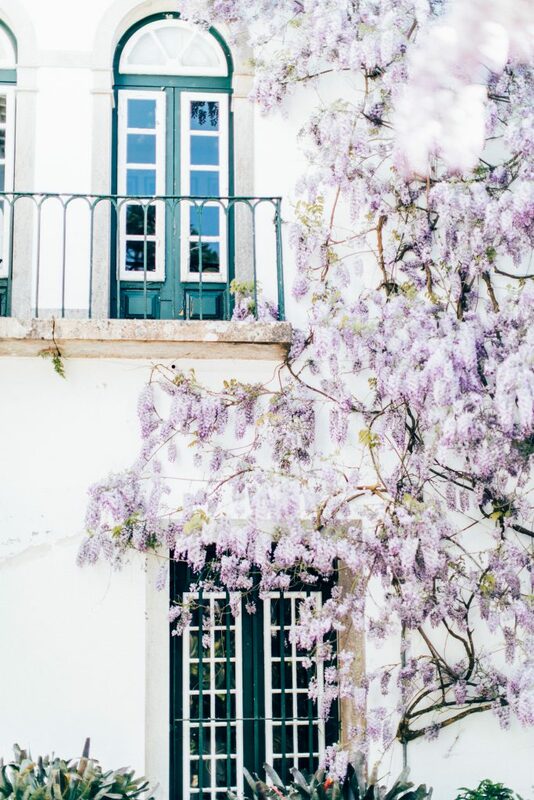 Did you like our post on getting married in Portugal? Did you get married there yourself or has that always been your dream? Tell us about it in the comments! 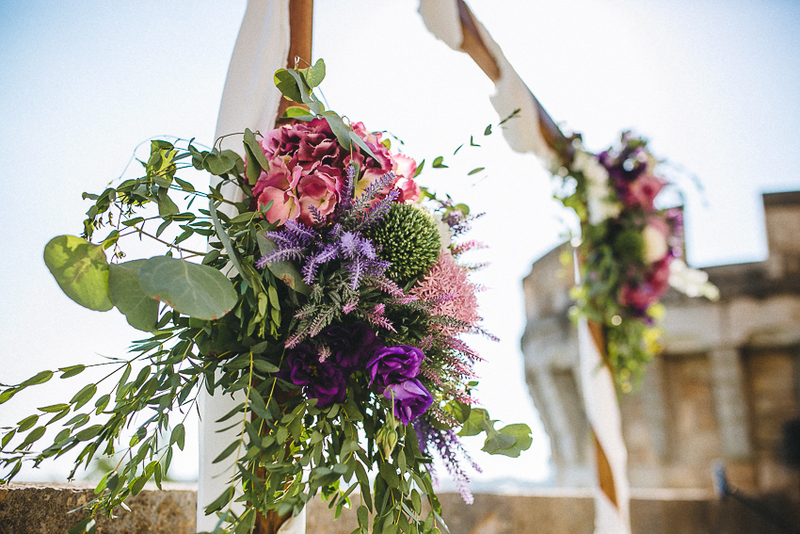 And if Portugal is not the right country for your marriage, than check out our posts for the best wedding venues in Tuscany or the general post about getting married in Italy. For others, Santorini is the venue of their dreams. Read how you plan your perfect Santorini wedding in 5 simple steps.